This office space for Interactive Applications Group was designed around the working habits of the company and the original artwork of the owner. At the heart of the plan is a long Gallery angled subtly to center on windows at both ends. This space serves multiple purposes—as a conference and work area, an informal lounge, and a reception hall. 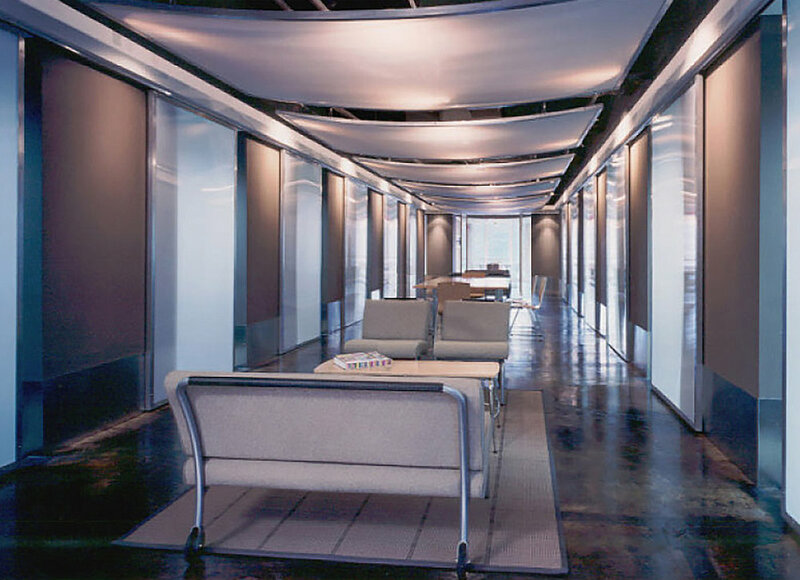 Movable partitions and furniture combine with wireless technology to optimize flexibility. For quick reconfiguration, the furniture is modular, lightweight, and rolls on casters. 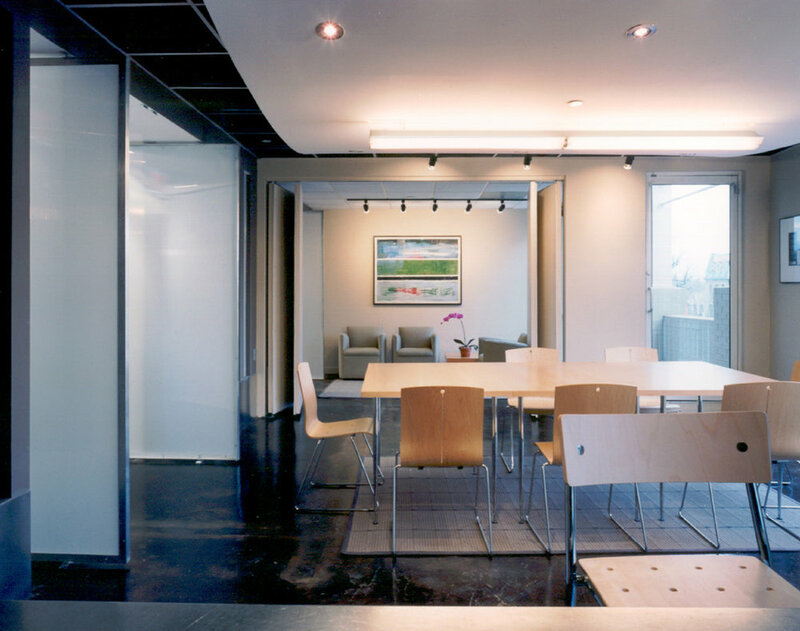 Fabric-covered bi-folding doors in the conference room and workstations let rooms expand to serve larger groups and team reorganization. 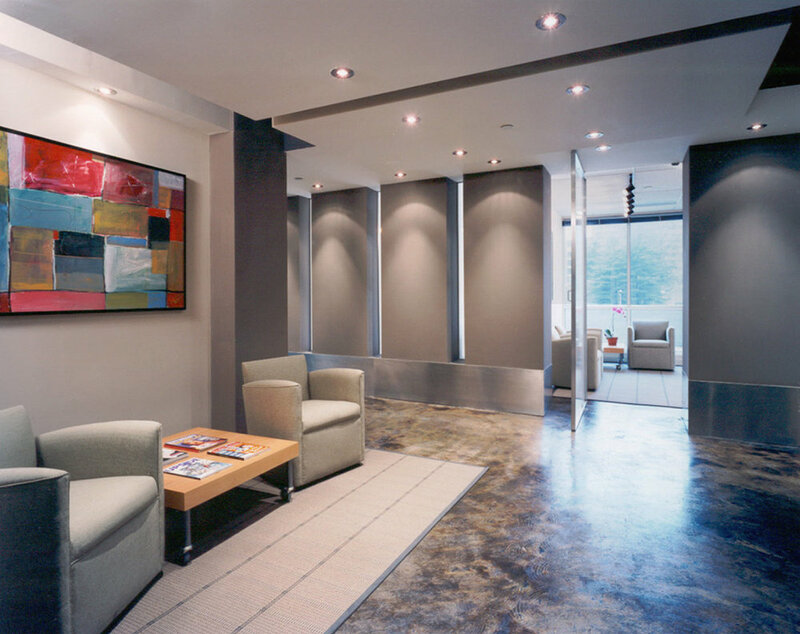 Custom metal-and-acrylic sliding panels can be closed for privacy and create an uncluttered image for public events. This versatile arrangement serves the company’s frequent changes to project team size and personnel. The palette, linework, and geometry of the owner’s own paintings inspired the finishes, fabric patterns, and wall articulation. Overlapping planes reappear in sliding panels and wall piers. 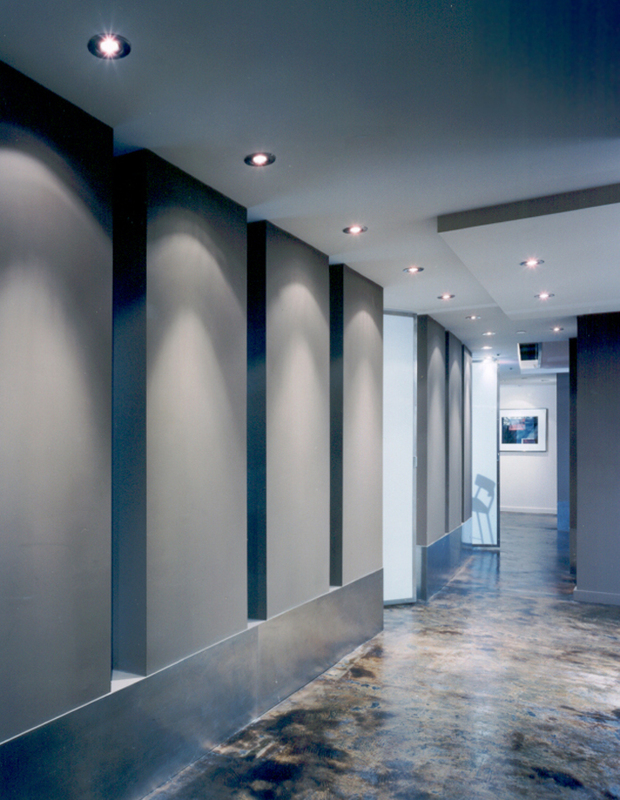 Custom metal-framed panels of acrylic and of vinyl mesh mimic stretched canvas. The client suggested the image of the empty canvas as a metaphor for possibility.